On average, more than 70 people are killed and more than 2,000 are injured each year in large-truck crashes in Wisconsin. Sadly, it is most often the occupants of passenger vehicles who suffer the worst injuries. The Madison personal injury lawyers at Boller & Vaughan understand the physical, emotional and financial challenges injury victims face in the wake of a semi-truck accident. Our attorneys also know that initial insurance company settlement offers are usually not enough to cover victims’ long-term medical costs and other damages. If you were hurt or a loved one was killed in a collision with a large truck, our attorneys are here to help you pursue the financial security you and your family need to move forward. We offer free consultations to help you understand your options, and we don’t charge for our services unless we recover compensation on your behalf. Call us today at 608-268-0268 or contact us online. Speed is often a factor in semi-truck crashes that result in injuries and deaths. Driver fatigue: Truck drivers’ hours of operation are capped by federal regulations, but trucking companies sometimes demand unrealistic schedules, and drivers occasionally exceed their time behind the wheel to increase their profits. Driver exhaustion plays a role in at least 13 percent of all large-truck crashes, according to a crash causation study from the Federal Motor Carrier Safety Administration (FMCSA). Distracted driving: Truck drivers are just as susceptible to texting and other distractions as passenger-vehicle drivers. While the consequences of distracted driving can be deadly in any situation, the size and weight of large commercial vehicles makes them especially hazardous in the event of a crash. Driving under the influence: Many semi-truck drivers spend in excess of 300 days per year on the road, and some use alcohol or other drugs to cope with the stresses of the job or to stay awake behind the wheel. Speeding: Speed alone may not cause an accident, but driving too fast for the conditions at hand can affect the severity of an accident and the resulting injuries. Following are additional factors that often contribute to large-truck crashes. Overloaded cargo and imbalanced freight are common causes of large-truck accidents. Tractor-trailers and other large commercial vehicles that are overloaded or carry imbalanced loads face an increased risk for accidents. Cargo loaders occasionally exceed a vehicle’s regulated weight limits or are negligent in how they balance freight. If an overloaded truck or a truck with improperly balanced or unsecured cargo causes a crash, the cargo loading company or shipping agent may be liable for resulting damages. Tire blowouts and brake-system failures are among the most common vehicle-related factors in large-truck accidents, according to an FMCSA report. Semi-trucks and their corresponding components have also been recalled due to loose bolts, electrical-system problems, steer-axle defects, faulty transmission systems, and defective emissions-control systems. When a defective vehicle or vehicle part contributes to an accident, the manufacturer may be held accountable for damages. Large commercial vehicles like semi-trucks are exposed to heavy wear, and they require regular maintenance to ensure their safety. Vehicles that are inadequately maintained increase the risk for an accident. Trucking companies and maintenance providers may be responsible for damages if a crash is the result of insufficient mechanical care. There is currently a high demand for semi-truck operators, and trucking companies occasionally put drivers behind the wheel who aren’t prepared for the rigors of the job. A driver whose training is incomplete may not be equipped to deal with adverse conditions such as sudden changes in traffic flow, hazardous weather, dangerous roads or cargo shifts. If an unqualified driver causes an accident, the driver, the trucking company and/or truck owner may share accountability for damages. 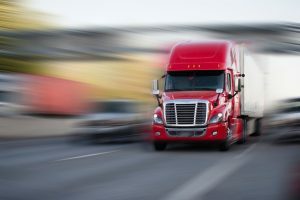 Collisions that involve semi-trucks or other large commercial vehicles differ from passenger-vehicle accidents in many ways, including liability for resulting injuries and other damages. 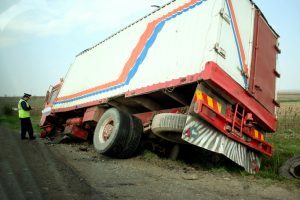 Depending on the circumstances of the crash, fault may be attributed to multiple parties including the driver, trucking company, cargo agent, maintenance provider, and vehicle or vehicle parts manufacturers. The Madison injury lawyers at Boller & Vaughan understand the nuances of commercial-vehicle accident cases as well as the monetary needs of injury victims and their families. Our attorneys have an extensive record of success obtaining the compensation injury victims need to cope with medical expenses, lost wages, pain and suffering, and other damages. To learn how we can help you, please call 608-268-0268 or contact us online to arrange your complimentary, no-obligation consultation. If you or a loved one has been injured or killed as a result of someone else’s negligence or wrongdoing, please contact our accident attorneys at Boller & Vaughan. As much as we all hope to never need an attorney, we are so glad Boller & Vaughan are here to help. Michele Vaughan and her Paralegal, Mary Cragin, handled my case. I appreciate all of their hard work and diligence in assisting their clients. Everyone in the firm is very professional. They truly care and want to help. Thank you so much.